I mark her nose. It's not realistic. 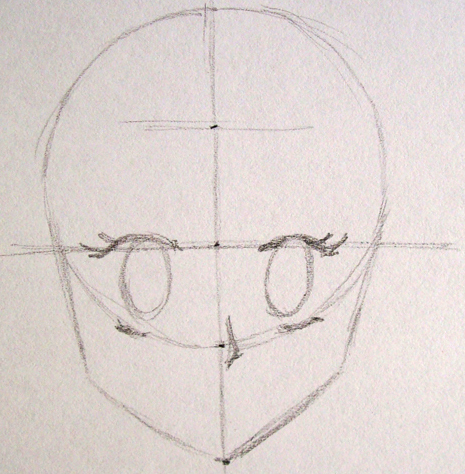 It looks more like a shadow of a small nose than a convincing shape. 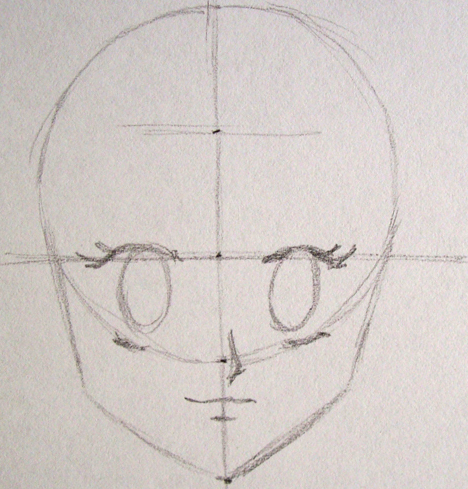 It is not proportionate to the size of her eyes or head, but this is one of the characteristics of Manga. Her mouth is also small and in a light manner. There barely is a long line to represent her upper lip and a small line for her lower lip.